Ultimate Fighting Championship (UFC) recently updated its official fighter rankings to reflect the results of its UFC on FOX 19: “Teixeira vs. Evans” mixed martial arts (MMA) event, which took place last Saturday night (April 16, 2016) inside Amalie Arena in Tampa, Florida. Full results and play-by-play here. Despite his knockout loss to Glover Teixeira (watch it), fading light heavyweight slugger Rashad Evans didn’t lose any ground in the 205-pound title chase. The Brazilian, however, managed to sneak past Alexander Gustafsson for the No. 3 spot behind Anthony Johnson. 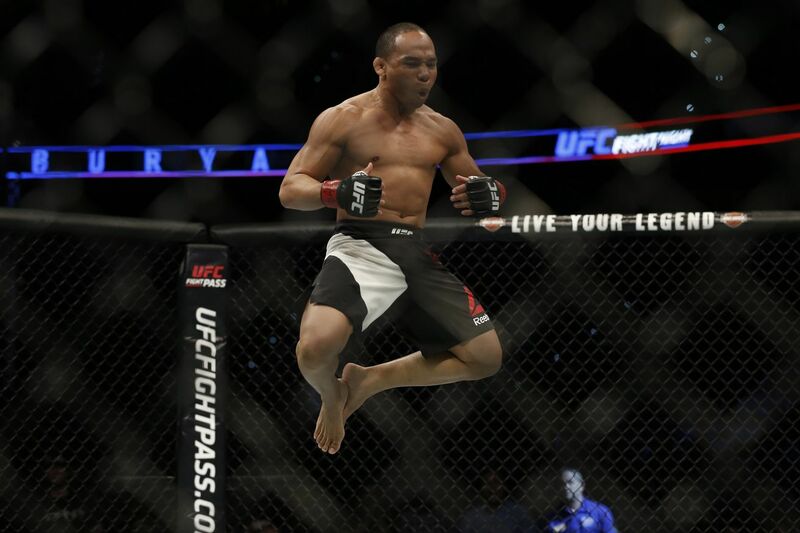 Elsewhere on the card, John Dodson earned himself a place in the bantamweight top 10 after stopping Manny Gamburyan, which moved things around at his old stomping grounds of 125 pounds. In the lightweight division, Mike Chiesa threw his name into the mix by subbing Beneil Dariush (video).